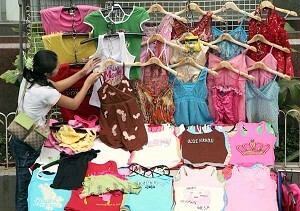 Shermans Travel has named Bangkok the best city in the world for shopping. Bangkok topped the list for its reputation as one of the best shopping destinations in Asia. The annual list for shopaholics said good finds in the city are high-quality silk, jewelry, and traditional crafts for a reasonable amount of money. Bangkok beat out cities including Buenos Aires, Los Angeles, New York, Hong Kong, London and Paris.